Jettas feature four-wheel disc brakes, an independent rear suspension, and a rock-solid structure. 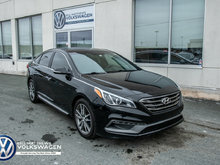 The roomy back seat and affordable pricing make it a popular compact sedan pick. Ours comes with a clean CarProof certificate, new wiper blades, it's had one owner who was a non-smoker, and the 45,000km service inspect has been performed. 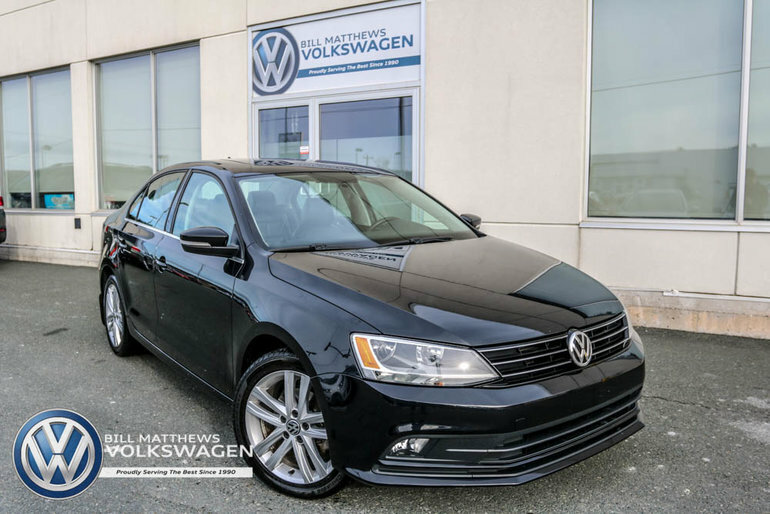 The crowning glory of this car is that it's a Certified Pre-Owned Volkswagen. Each Certified Pre-Owned Volkswagen undergoes a 112-point inspection by a Volkswagen-certified technician. This allows them to uncover any potential issues and fix them or replace the parts using Volkswagen original parts. The 112-Point Inspection includes a review of the vehicle’s maintenance history, mechanical performance and interior, and exterior quality and appearance. 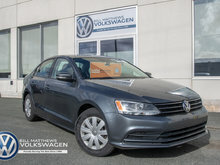 Interested by the 2015 Volkswagen Jetta Highline 1.8T 5sp ?